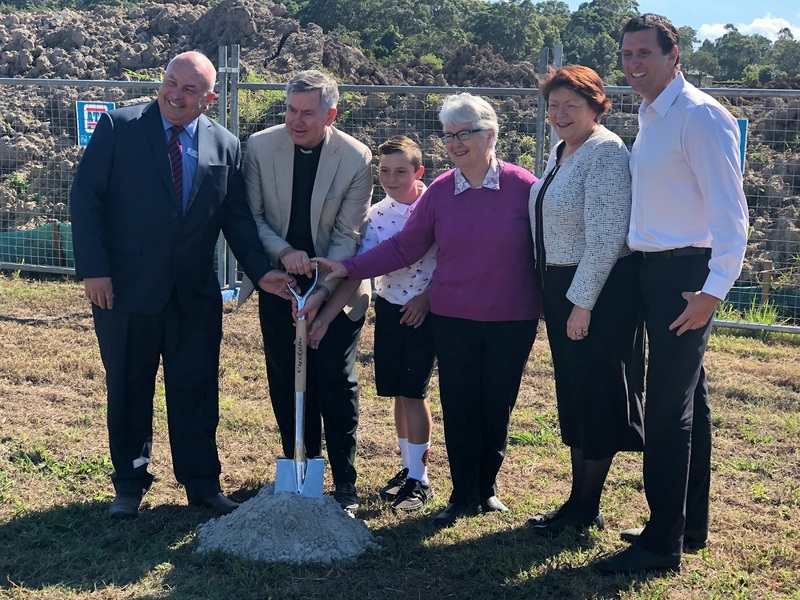 The soil has been blessed on the grounds of what will soon become the Good Samaritan Catholic College at Parklakes 2 in Bli Bli. Held under a cloudless sky, Good Samaritan Catholic College Principal Greg Myers said today’s blessing ceremony was a community celebration. Father Kevin Smith from the Caloundra Parish, blessed the ceremony with a gospel reading, as well as a watermark ceremony of the soil. Members of the Brisbane Catholic Education, local MPs, newly enrolled students and parents also attended the blessing.